Railroad empire builder - In their relatively short history, browser gamers have managed, built, conquered and destroyed virtually everything and anything. Still, one thing remained conspicuously absent from our experience: the creation of a railroad empire. 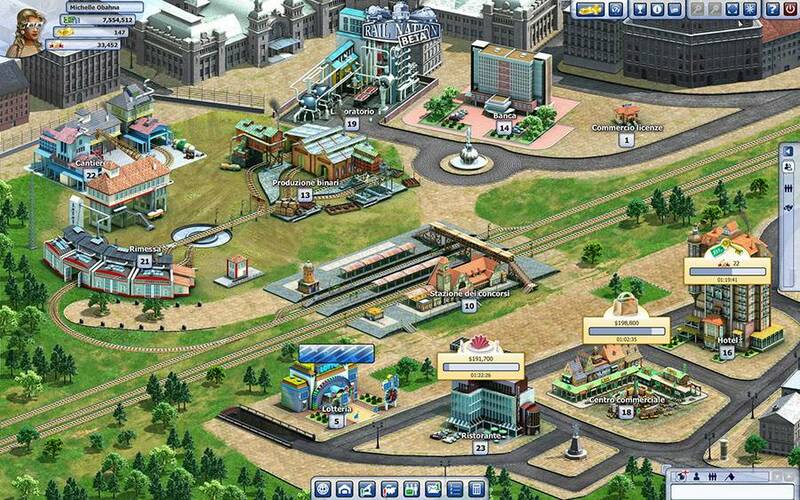 Resource management games have been proliferating in the landscape of browser games, thanks to the relative simplicity that lends itself well to the browser format. Some have explored (and pretty much overdone) the medieval setting, while others are dedicated to the more peaceful demands of modern football teams or farms. 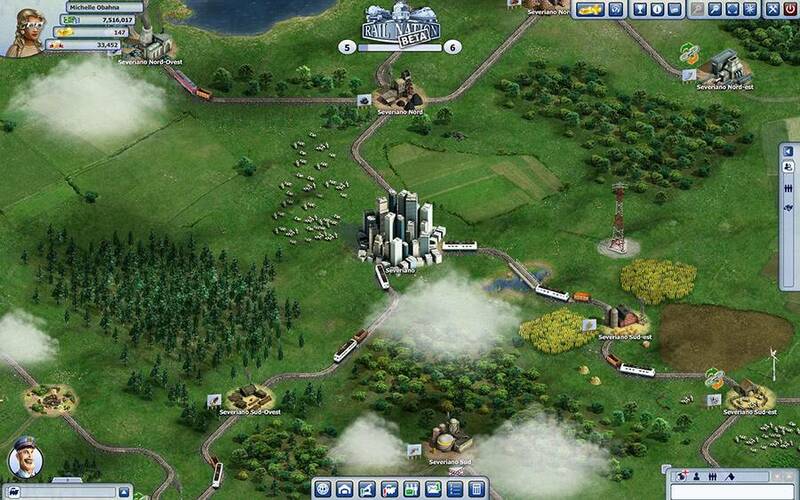 Rail Nation, which tasks the player with building and managing a complex railroad empire, falls into the third category of games, which don’t feature war but nonetheless offer plenty of opportunity for fierce competition with fellow players. Credit must be given to the developers for creating a game that maintains a high level of accessibility without trivializing or distorting the structure of the gameplay. 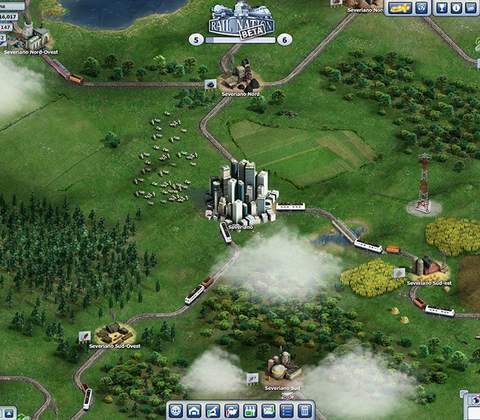 Gameplay itself isn’t just about buying a bunch of trains and sticking them on tracks, but the management of almost every aspect that might affect a rail empire, taking into consideration also the era you’re playing in. 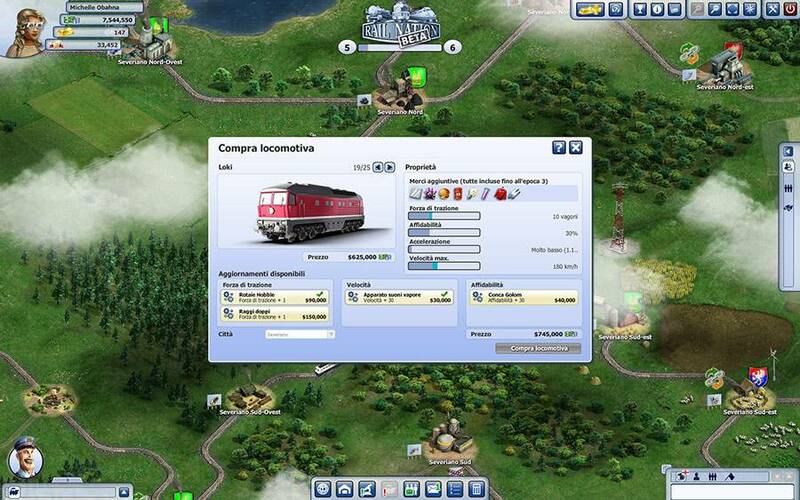 The central element of the game is naturally its trains, divided into locomotives and carriages. The locomotive is the driving force with various qualities and enhancements which give the whole train an advantage, and which can be given a further boost by researching more efficient technologies. The carriages store valuable cargo, which reap money and success for players. Once you’ve customized the configuration of your trains, you need to choose a route that will yield the greatest reward for your young empire. Which industries are the most deserving? Which cities will prove most profitable? Figuring out the right combination is tricky at first, but helped along by the game showing you the yield of each timetable available until you get the hang of it yourself. Our trains are delivering some goods to our capital city. 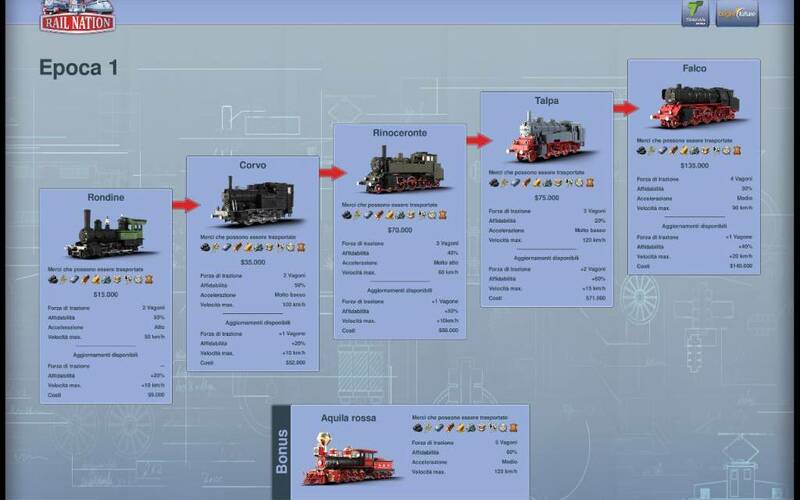 There is also your station to access from the main screen – the true core where you’ll carry out much of your management decisions. Here, you’ll find a whole series of buildings that contribute in one way or another to achieving your goal. In addition to buildings that will directly affect the rate and quality of your tracks and trains (such as the track production and the Garage), there are also secondary buildings like the Restaurant and Hotel that offer extra support in the form of periodic rewards. Naturally, each building is upgradeable for better bonuses. The world Travian Games has built is truly gigantic – to the point of being a little overwhelming at first. 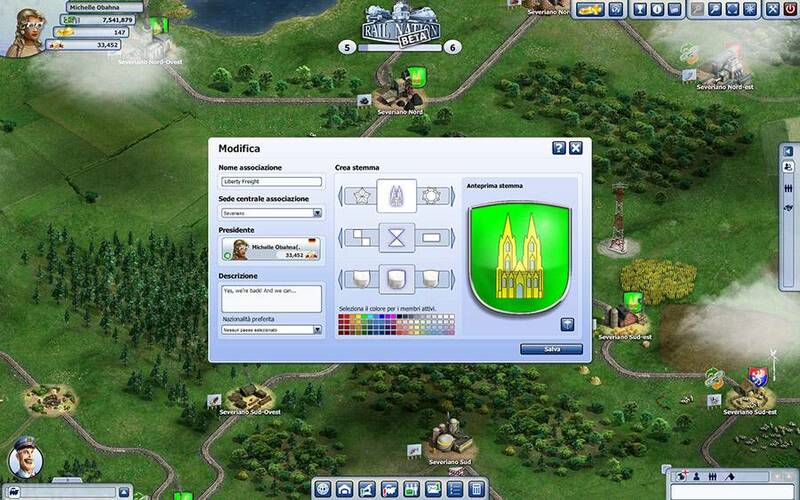 Cities and Industries are numerous and scattered on the map, and building the best route to connect these points of interest is never as simple as it seems. For instance, some routes require more maintenance than others, reducing the maximum speed at which your trains can travel. Shorter routes aren’t always the most effective choice either, as they may bypass refueling or delivery points. Strategy certainly comes in to play here, and while finding the right route may take a while, it’s always rewarding when you hit the perfect balance. Visually, Rail Nation is in line with the current standards of browser games and is fairly decent graphically, though not awe-inspiring. Static images are alternated with small animations that help give environments a semblance of life – crucial in a 2D game where so much is flat. The menus feel complete, though not particularly complex. 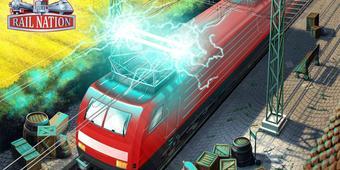 Rail Nation is a management game with enough variety of play and strategy to make it feel truly complete. 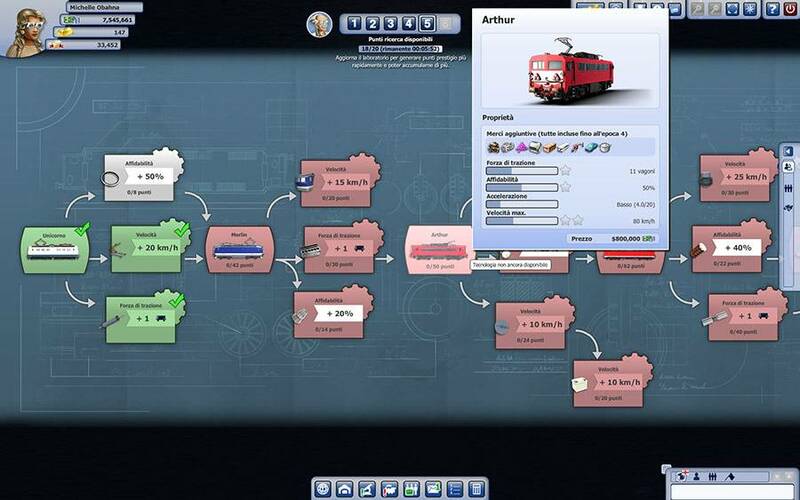 Contrary to the expectations of its name, trains are far from your only concern when it comes to managing your growing rail empire, and strategy is often more important than just the resources at your disposal. In summary, an excellent title suitable not only for lovers of trains but also to all those who enjoy a game that challenges them. 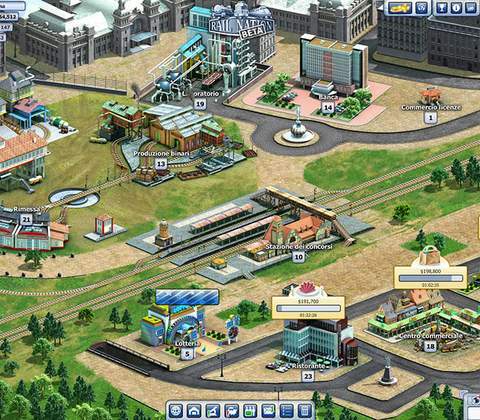 Ready to enter the world of Rail Nation? Click here to play now! Managing a rail empire? This is new to us!